The Husband and I were planning on going to Paris in September but have sadly postponed that trip to the Spring of 2013. I made the difficult decision recently to change jobs and since I’m starting at a new firm in August, I don’t think they’d be too impressed if I told them I was going on vacation in a month’s time. Sooo, instead of one big, fabulous vacation to a part of the world I’ve always dreamed of visiting, we’ve decided to do mini weekend getaways to keep us sane tide us over. I’m notoriously cheap so spending big bucks on “going away” for two days was like a knife to the heart, but we’re both in need of some R&R. So, where could we go that’s close yet still feels like we’re going on a trip (and most importantly, isn’t too hard on the wallet)? We spent last weekend in Victoria on Vancouver Island. You can see the Empress in the distance…here’s the view from our hotel. I know…I’m a nerd. 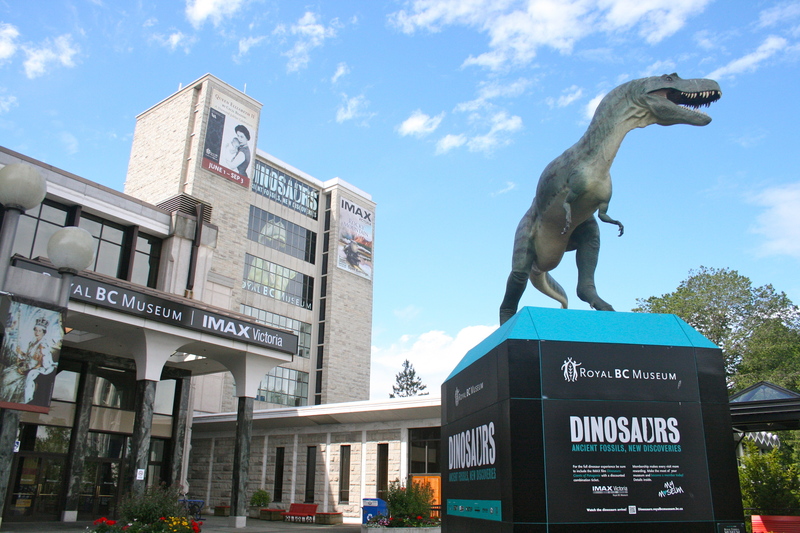 I dragged the Husband to the Royal BC Museum for the dinosaur exhibit. We haven’t been there in 10 years. 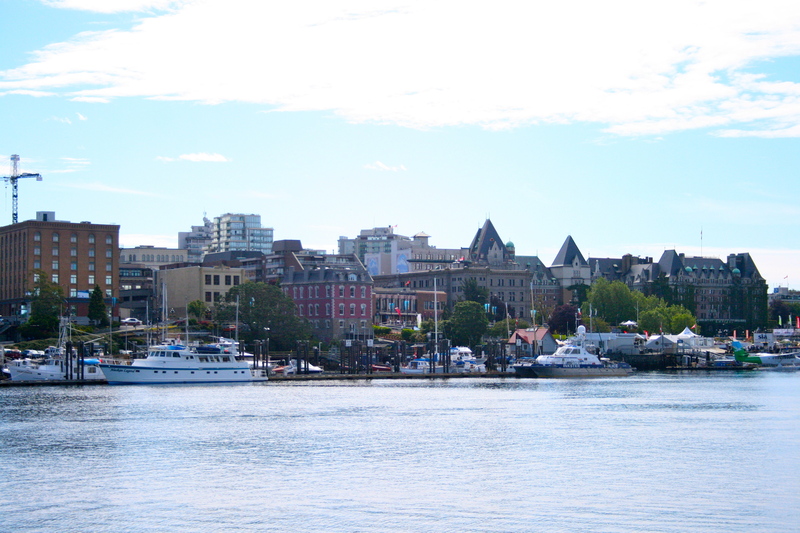 It’s a beautiful city – old heritage buildings with lots of character, surrounded by water and lush green trees, filled with friendly, smiling, laid-back people (apart from dodging the tourists clogging up Government Street, which makes up the main road in downtown Victoria). Oh, and first and foremost, amazing food. We had lunch at Ferris’ Oyster Bar and Grill based on Lawyer Girl’s recommendation. This place did not disappoint and it was worth every heart-clogging, cholesterol-laden calorie. 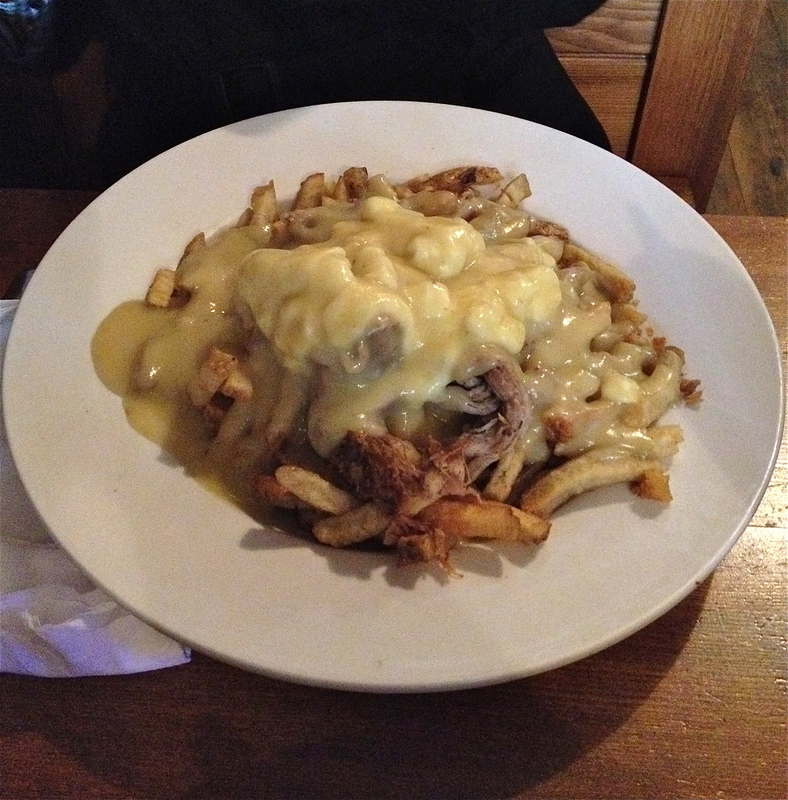 The Husband had smoked oysters wrapped in perfectly crisp, smoky bacon, and a MASSIVE pulled pork poutine. There were enough french fries on that plate to feed four grown men and it was smothered in a light-tasting, mouth-watering gravy. There was a generous amount of tender pulled pork, which the Husband promptly picked through and devoured. I wish I were eating this RIGHT NOW. 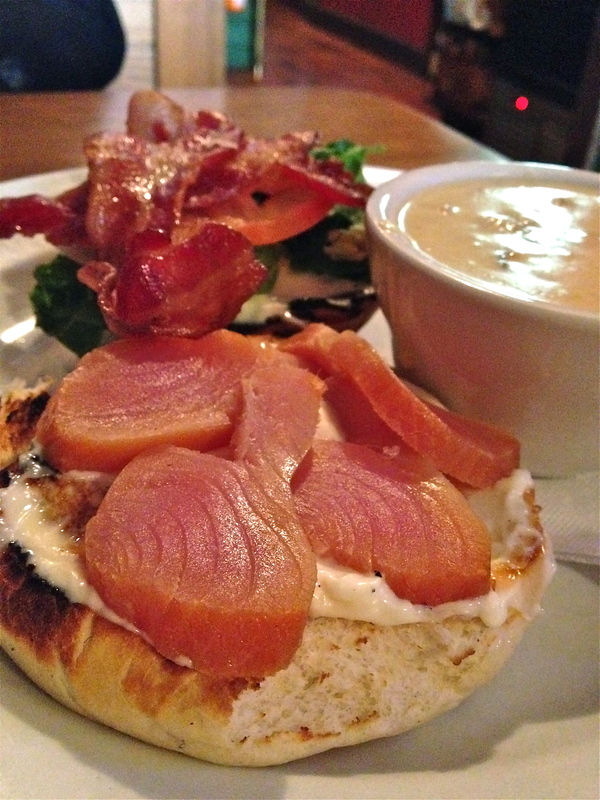 I had smoked tuna, bacon, lettuce and tomato sandwiched between two soft, buttery pieces of brioche bread with a cup of clam chowder. The chowder was unlike anything I’ve ever had – it was the perfect thick consistency, packed full of clams, with a sweet flavour I couldn’t put my finger on. We booked a couple’s spa appointment at our hotel (the beautiful, newly renovated Delta Victoria Ocean Point Resort and Spa) and I spent an hour being tortured getting my back-full of knots kneaded out by a registered massage therapist who was throwing all his weight into his efforts. After all of that eating and lying down, we were starving. 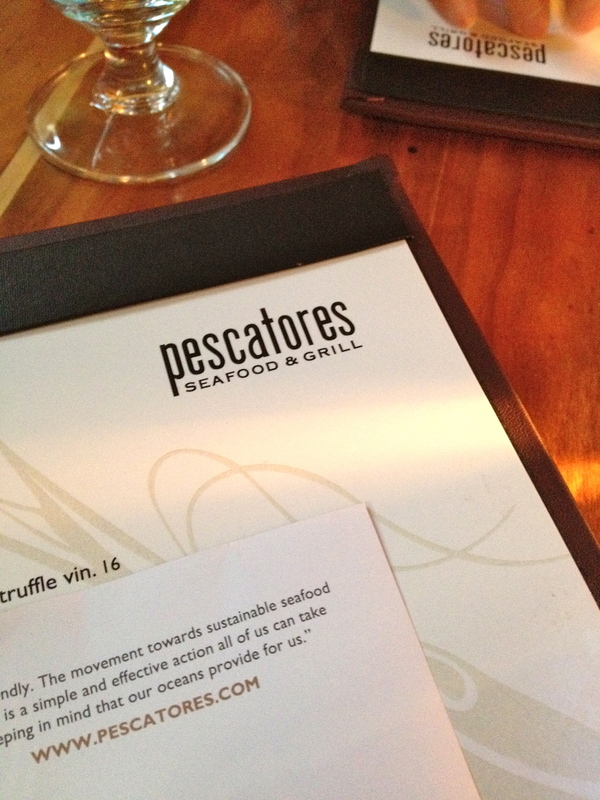 Based on online reviews, we made a reservation for a seafood restaurant right in the heart of downtown, Pescatores. It was smoking busy and for good reason. The food was very affordable and delicious. We sat at the bar while we waited for our table and our super lovely server gave us some fantastic wine recommendations. 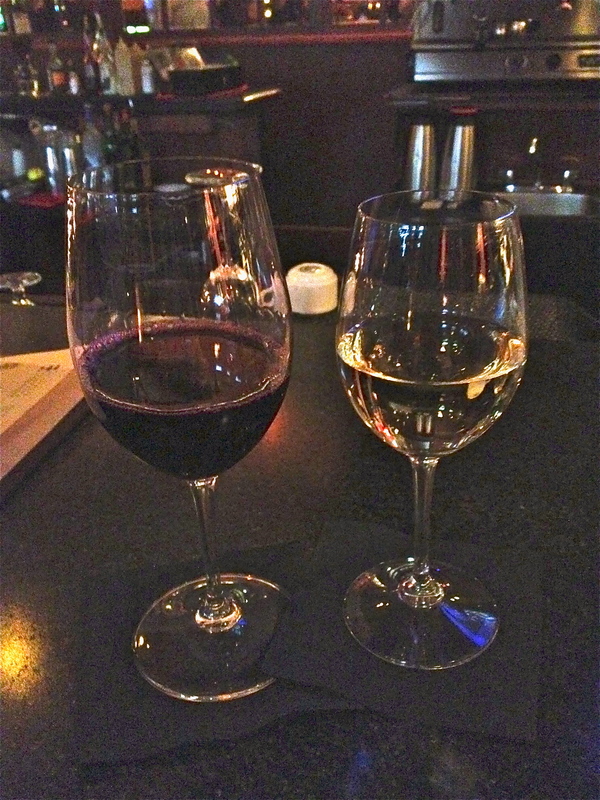 The Husband had the red – 6th Sense Syrah from Californian winery, Michael David. I had the white – Maurel Vedeau Picpoul de Pinet Terre de Neptune (obviously French). 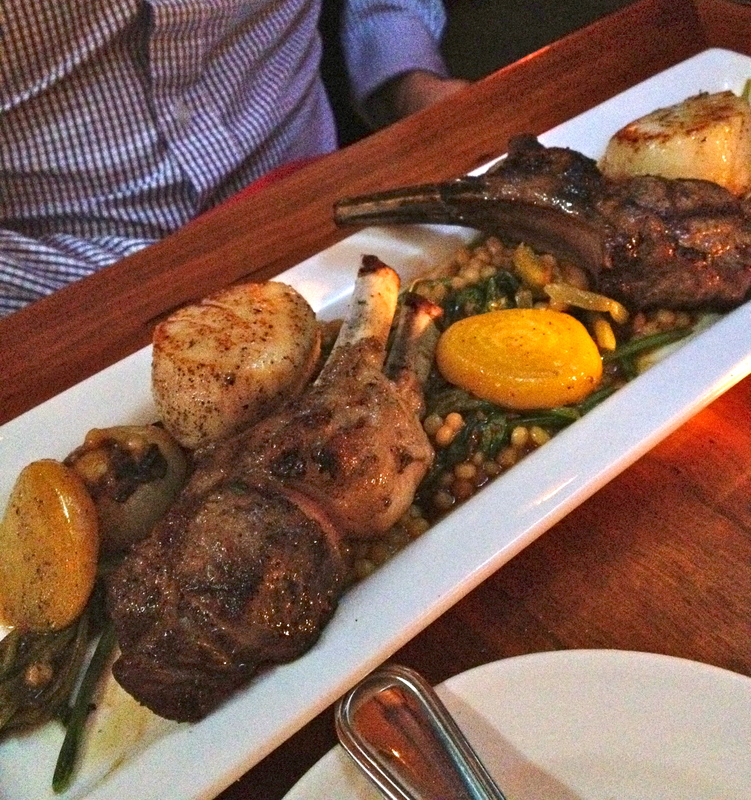 For dinner, the Husband started with half a dozen oysters and for his entree, a surf and turf of rack of lamb with pan-seared scallops. Briny! Ok, I didn’t eat them, but I assumed they tasted briny. The Husband hates when I eat off his plate so he’s getting clever by ordering foods that I don’t eat. I hate oysters and I can’t eat lamb – it’s way too gamey for me. No matter how it’s prepared, I can always taste that harsh, gamey taste and I can’t stomach it. Smart boy. 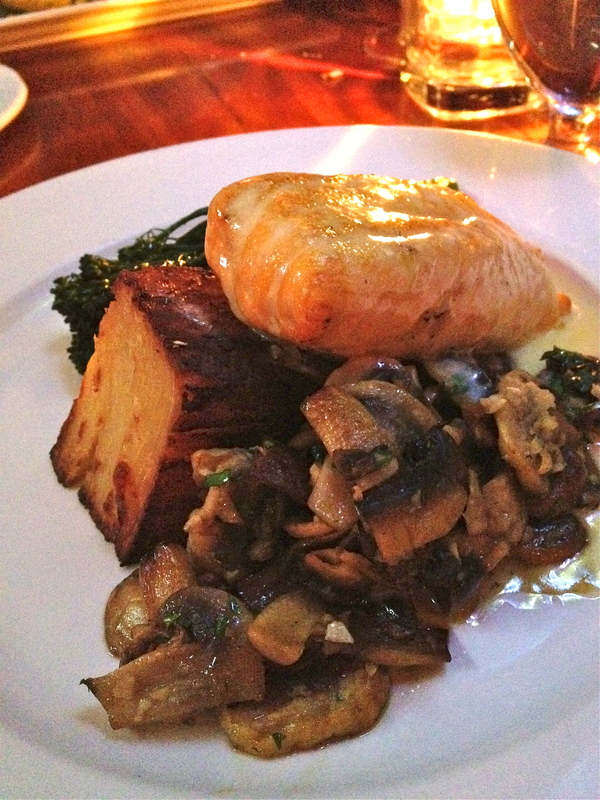 For me, I had crab and brie stuffed trout, with roasted vegetables, sauteed mushrooms and a potato gratin. The portions were huge and everything was cooked to perfection. I could only eat half my meal and with great sadness, had to send the rest away without packing it up. I cannot stand wasting food. It hurts me almost as much as spending money does. The view from our hotel at night. So pretty with all the lights. 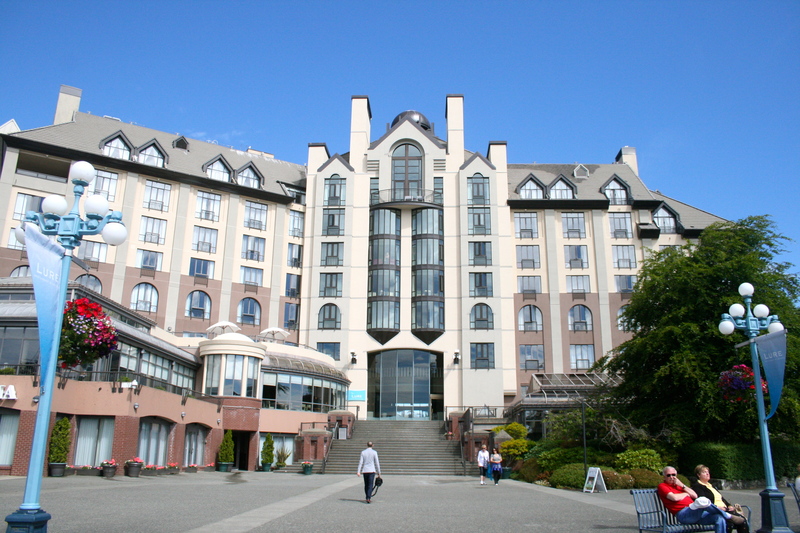 The Delta Victoria Ocean Pointe Resort and Spa. 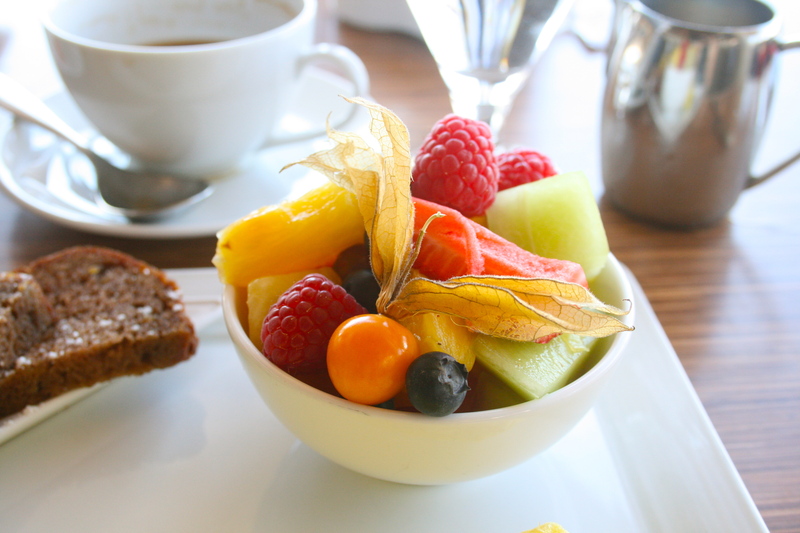 The next morning we had breakfast in the hotel restaurant, Lure. 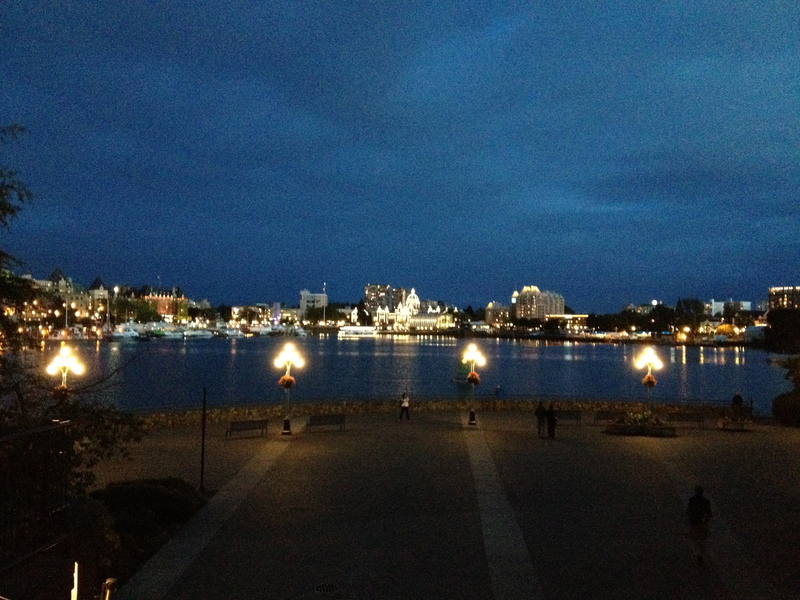 We sat looking out over the water at downtown Victoria. Four harbour ferries cruised by and started doing a little choreographed routine. Odd and cool at the same time. Apparently they get together every Sunday morning for a little water dance. 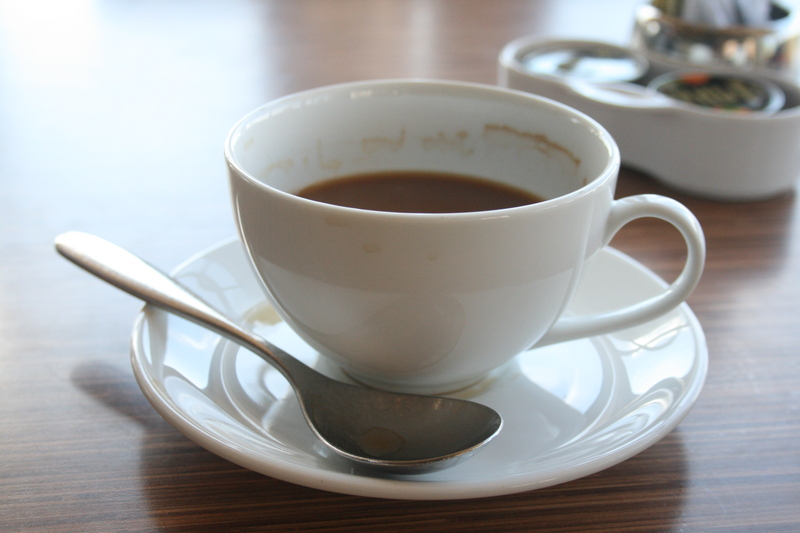 This was an excellent Americano. 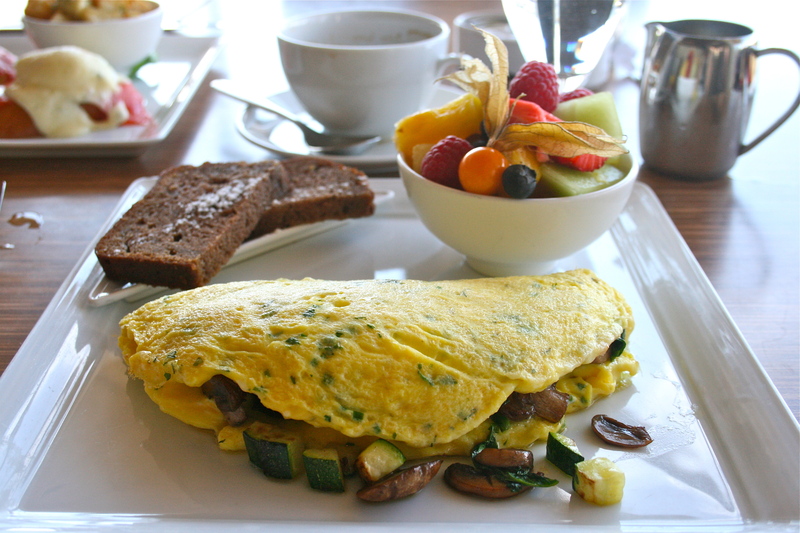 My breakfast – an omelette stuffed full of zucchini, mushroom, spinach and cheese, with a fruit salad and banana bread. The fruit was fresh (not packed in juice and preserved like at some other restaurants) and surprisingly sweet for this time of year. It was the banana bread that drew me to ordering this dish. It was still warm from the oven and super moist. 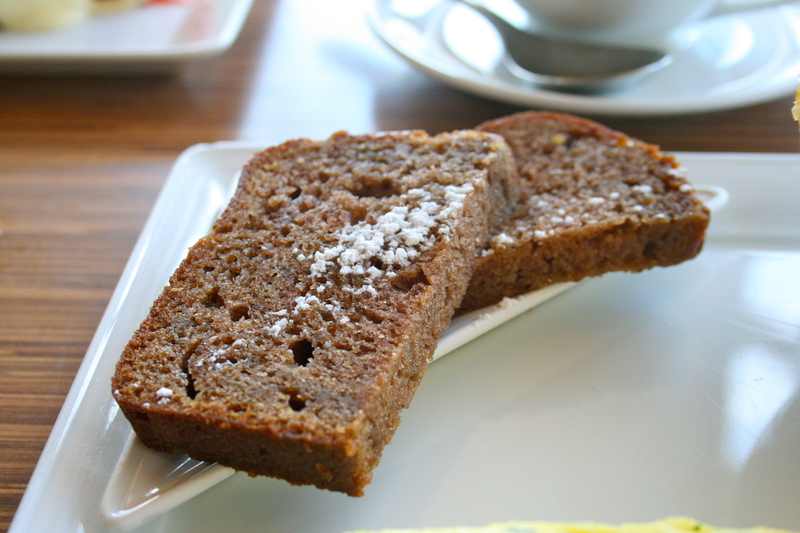 Even the Husband liked it and he never eats the banana bread I bake at home (boo hiss). 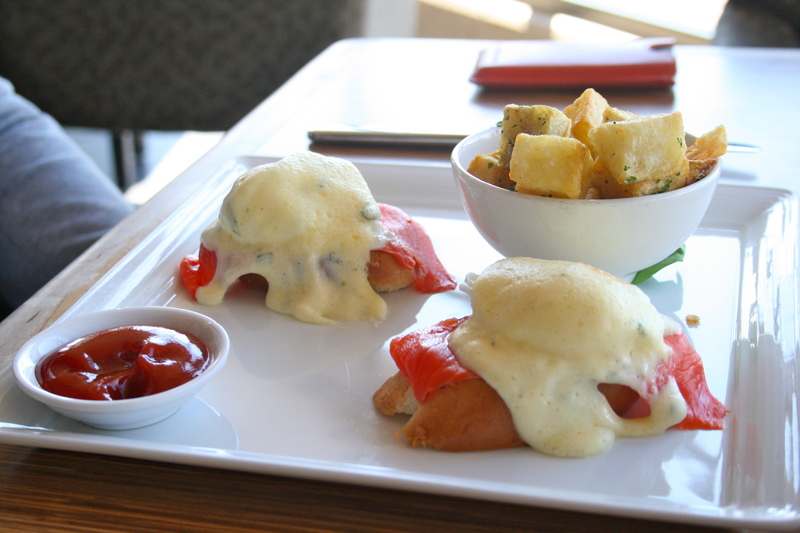 Here’s my throwaway shot of the Husband’s breakfast – his favourite, eggs benedict. 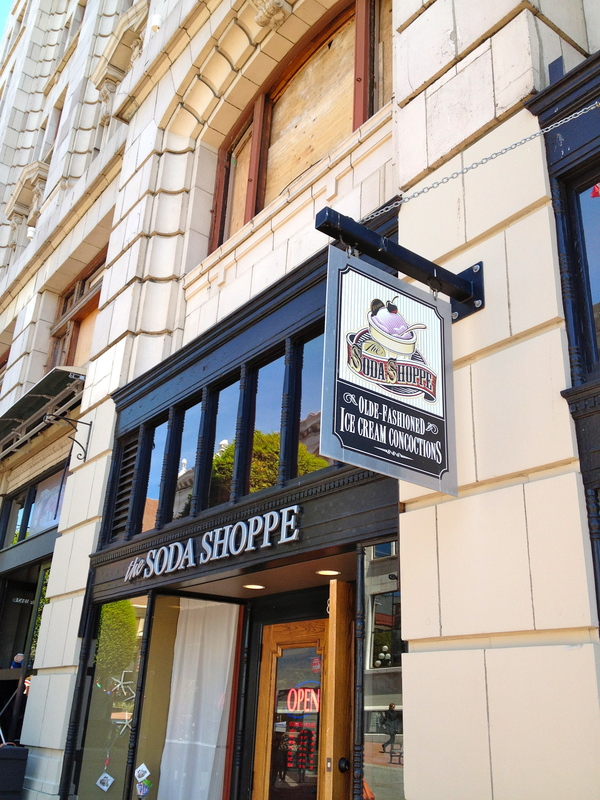 This we followed up with root beer floats at the Soda Shoppe. 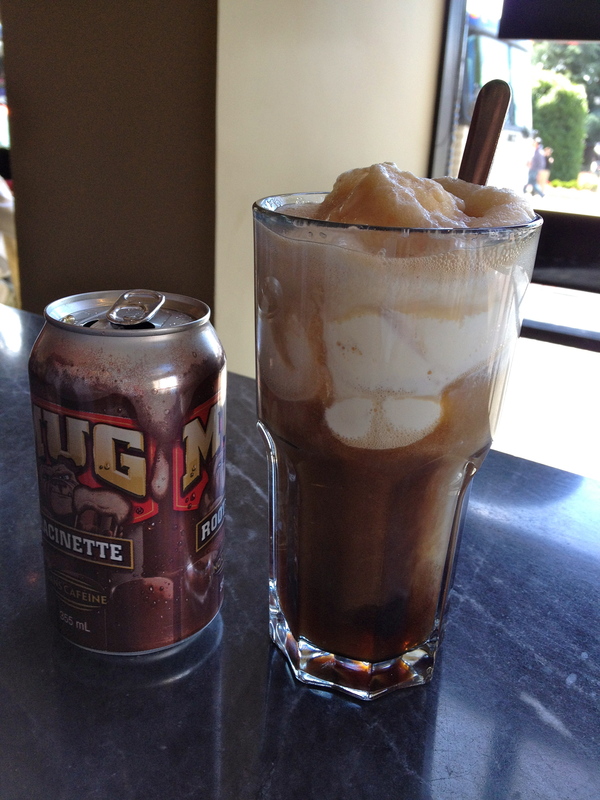 We went classic – vanilla ice cream with root beer. After all that eating, we walked around downtown and then rolled our fat, lazy asses back to the ferry, where we slept in our car on the entire ride home. When I got into work last Monday morning, I was talking to a colleague about the weekend. Somehow the topic of cooking dinner came up and he stated that he rarely ever cooks since he lives on his own. If I lived by myself, I’d be way too lazy to cook too. Usually when the Husband is out for dinner, I’ll have toast and scrambled eggs. So, this inspired me to post a recipe for chow mein. It’s such an easy, delicious meal – if I can make it, anyone can! I usually make a chicken version but this time used the organic prime rib that we had in the freezer. I’ve delegated all cooking of red meat to the Husband since he does it so well (people, this is why you should never excel at something). 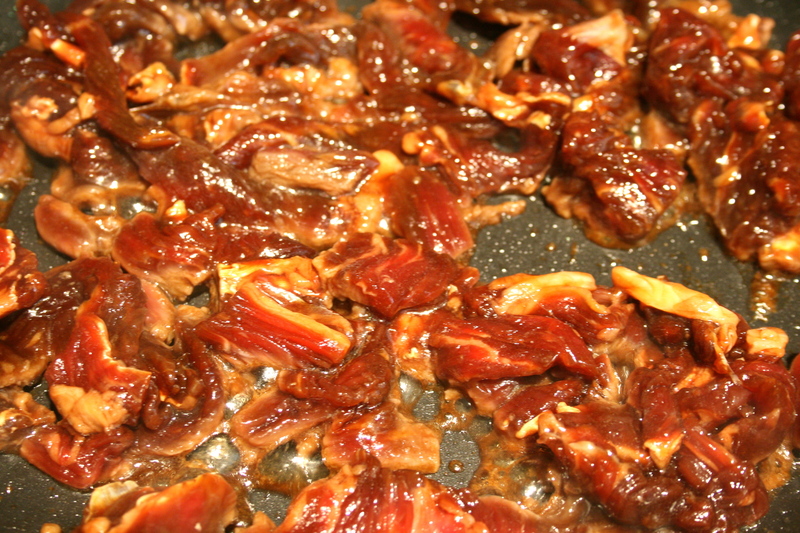 He sliced the prime rib and marinated it overnight in a mixture of oyster sauce, dark soy cause, salt, sugar and water. I can’t tell you how many ounces of prime rib we had – it was a normal sized steak. 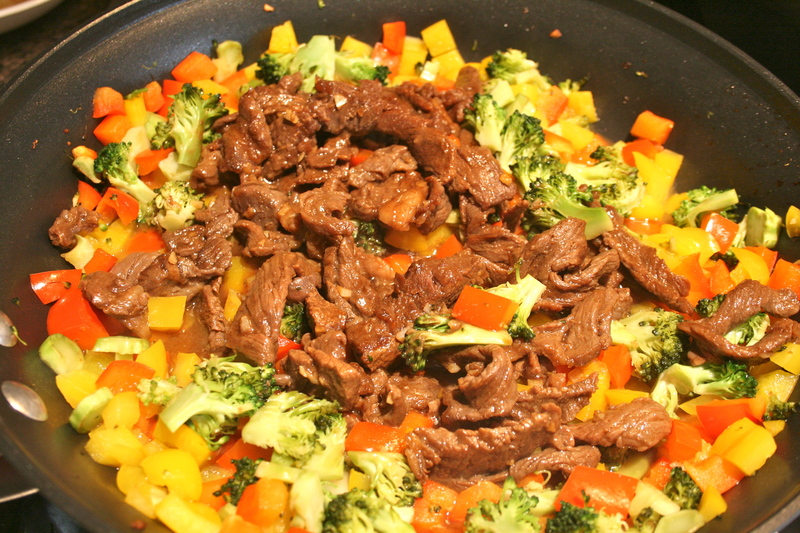 The beauty of stir frying is that you can pretty much vary the amount of the ingredients to your liking. The Husband used approximately one tablespoon oyster sauce, a tablespoon dark soy sauce, less than a teaspoon salt and sugar, and about half a cup of water. The steak soaks up the water and becomes tenderer (is that even a word?). My favourite brand of chow mein noodle is from a company called Double Happiness. These are the noodles that the Mother-in-Law uses and her chow mein is the best I’ve ever had. Boil it for about three minutes then rinse it under cold water. Set it aside to drain. You don’t have to use the entire package (it makes an insane amount of noodles). Whatever you don’t use you can either keep in the fridge or freeze. If using straight from the freezer, just take it out while the water is boiling and then throw it in. You don’t have to thaw it any longer than that. 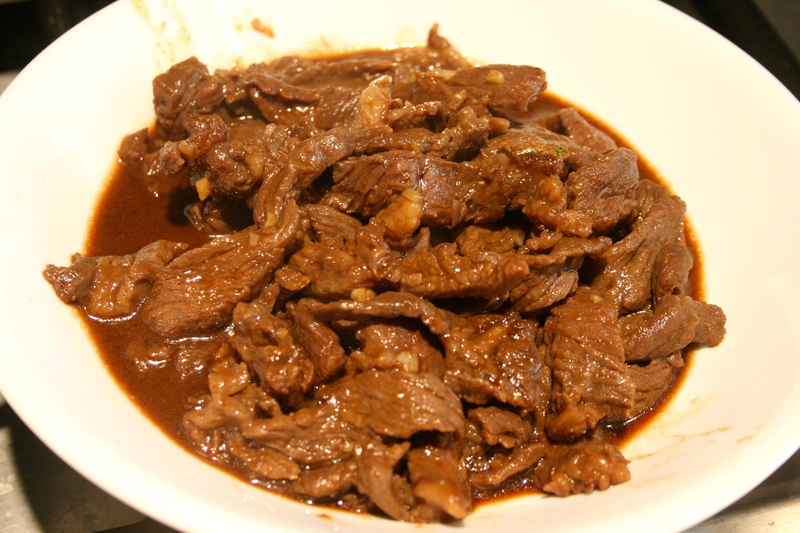 I stir fried the beef with garlic, then when it was almost done cooking, I took it out of the pan and set it aside in a bowl. 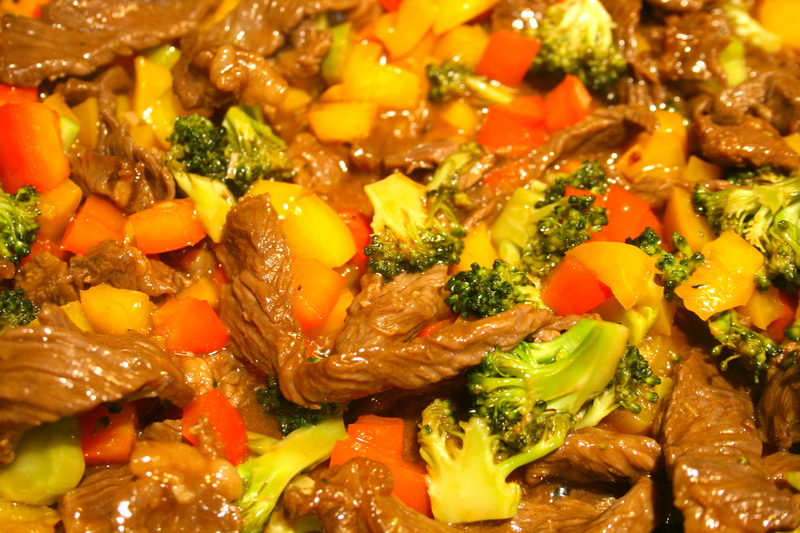 Then I stir fried broccoli and red and yellow bell peppers. You can use any vegetables you want, just make sure they’re cut about the same size so that they cook evenly and will look pretty. After stir frying the veggies in oil for a few minutes until they’re beginning to soften, I poured in about half a cup of chicken broth and let the veggies finish by boiling (you can use any type of broth you want or plain water). Let the moisture cook away a bit – you don’t want it too watery. If it gets too dry, add a bit more liquid. 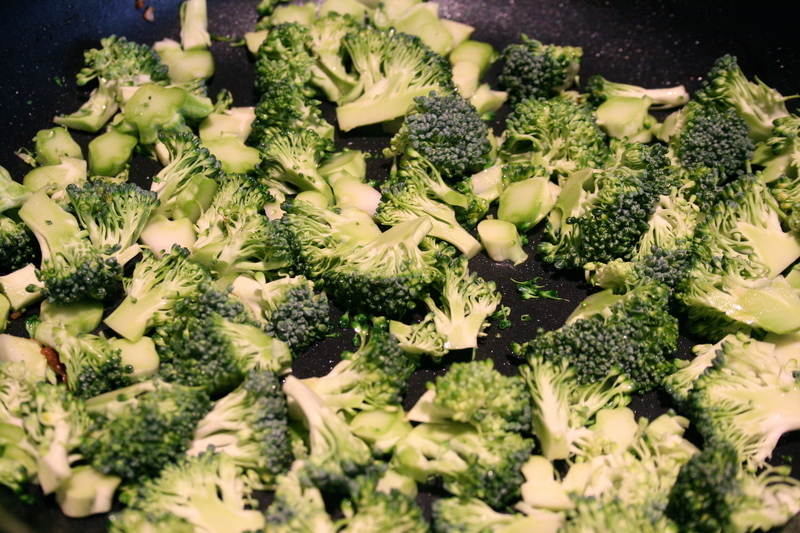 I started by cooking the broccoli since it takes longer to cook. When the veggies were almost finished, I dumped in the beef, swirled it around a bit so that it reheated, and then added a slurry made with a heaping tablespoon of corn starch and about 1/3 cup water. Let the mixture boil a bit so that the slurry cooks out and thickens the sauce. 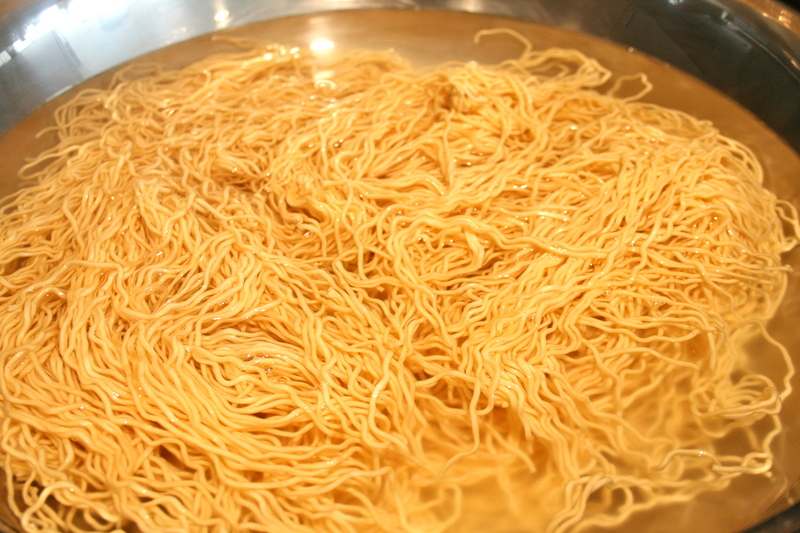 In a wok or a big deep pot, stir fry the noodles. I liberally oil the wok (otherwise the noodles will stick, unless you’re using a non-stick pan), throw in the noodles and add to it dark soy sauce, sweet soy sauce, salt and sugar. I’m not going to give any amounts here – I free-pour the ingredients until I get it to my liking (if I were to estimate, I’d say a teaspoon salt, a teaspoon sugar, a tablespoon dark soy and a tablespoon of light soy for an entire package of noodles). What this means is you’ve gotta taste, taste, taste! It’s important to keep tasting until you get your noodles to your preferred saltiness but make sure it’s not too salty because the veggie/meat mixture will add plenty of flavour. 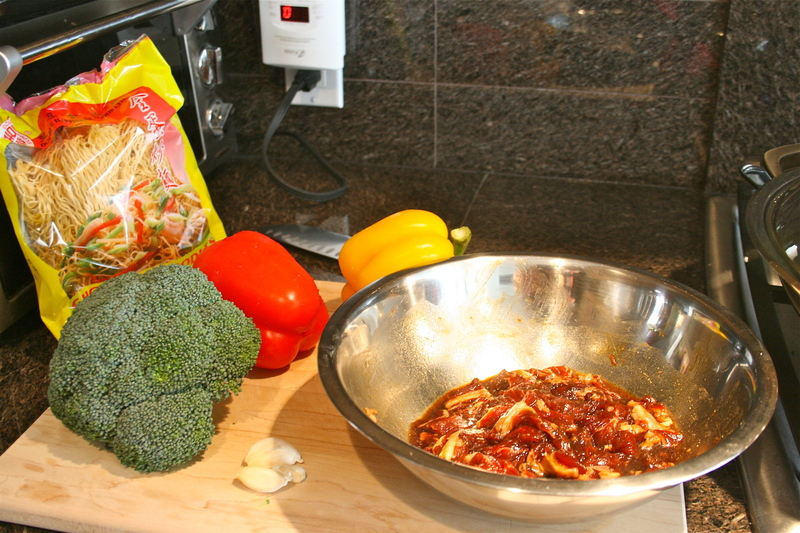 When it’s done, put noodles into a bowl, plate, trough, whatever you like, and then top with the meat/veggie mixture. Tada! Super easy, really delicious, and completely adaptable to whatever it is you have in your fridge. You can do a vegetarian version with tofu too. This will make a ton of food and it still tastes great the next day. Aside: the main ingredients in almost any Chinese dish are the following: salt, sugar, oil, soy sauce. I also always have oyster sauce, hoisin sauce, and soyce sauce (light, dark and sweet versions) in my pantry. I lived in Victoria years ago and nearly forgot how beautiful it is. Thanks for sharing your photos! Thanks, Debra! 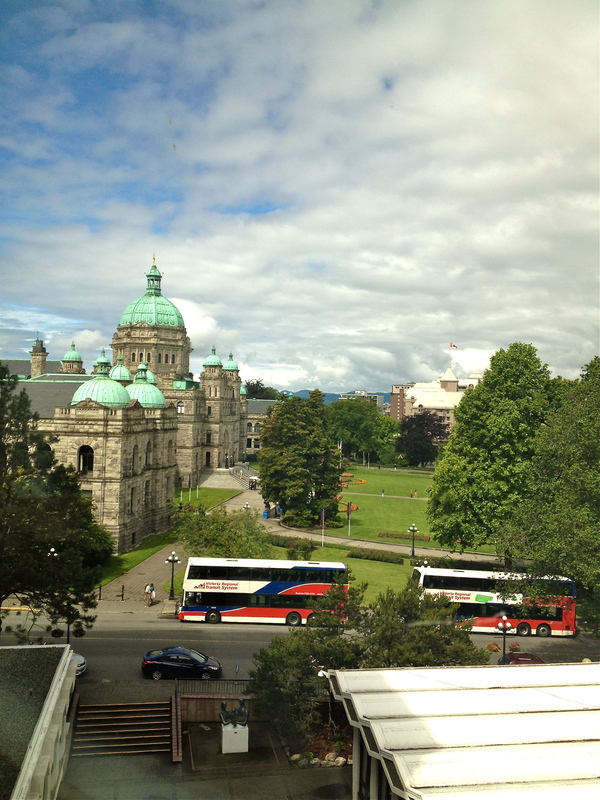 It’s stunning in Victoria, and we were lucky to get some sunshine while we were there. This post made my tummy gurgle and I just ate! Love Ferris Oyster Bar! The Big Sis introduced us to this place many years ago. 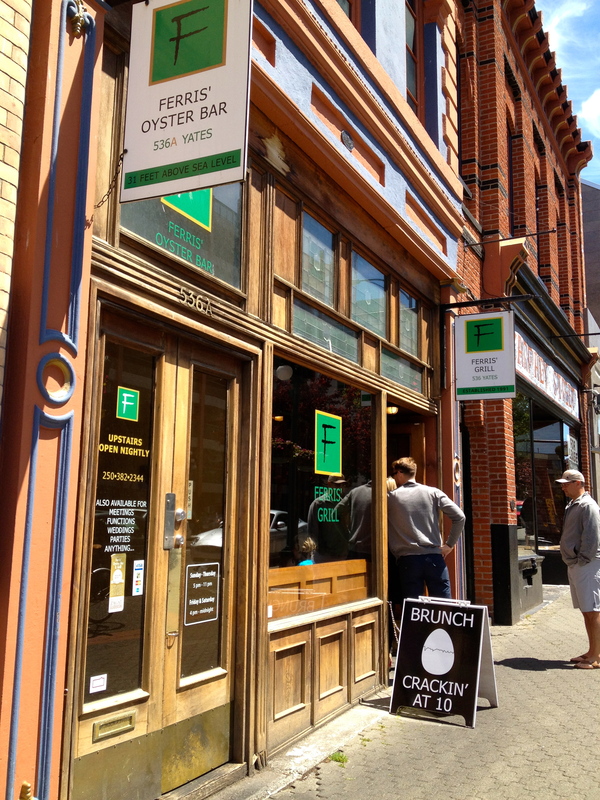 A trip to Victoria is not complete if one didn’t stop for the oyster burgers and poutine! Glad you and the Husband got to eat there. looks like a great weekend. 🙂 victoria is one of my favourite cities. 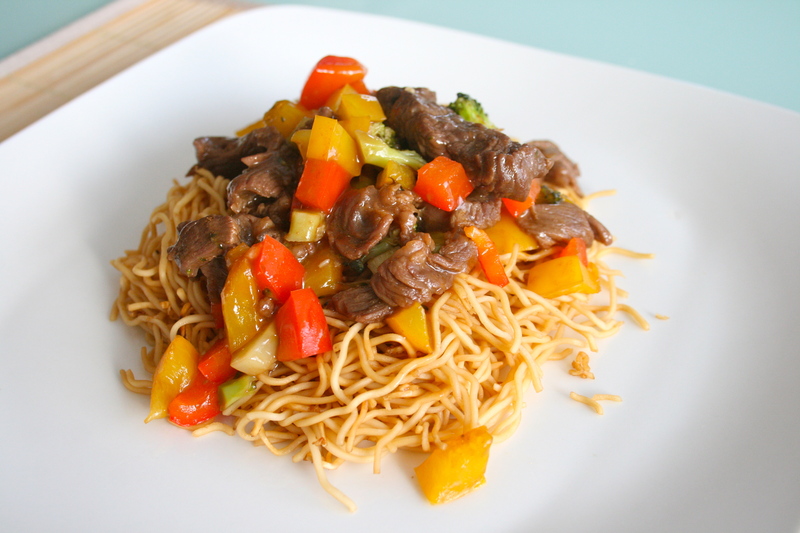 i should find those double happiness noodles and make something like this. looks yummy! You can get the noodles at almost any supermarket. Of course, you’re guaranteed to find them at the Asian ones, like T&T and Osaka. Wow, loved this post! 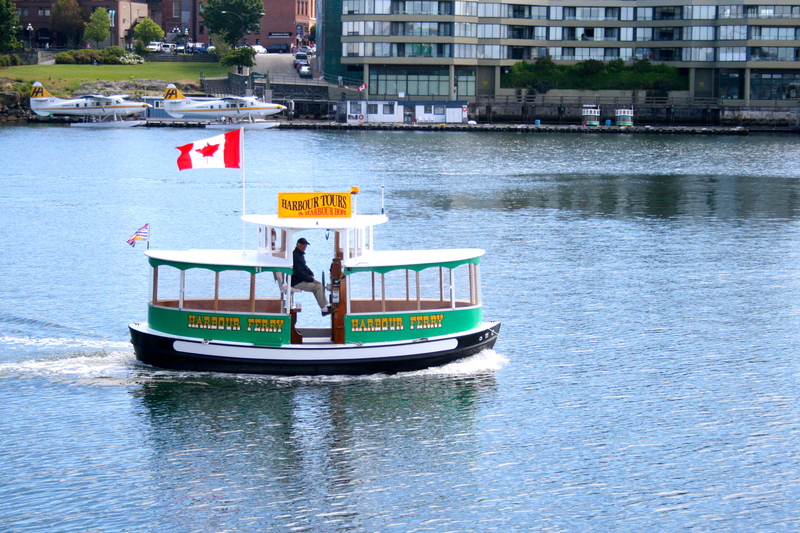 I live in Seattle and we’re headed to Victoria (hopefully) next month for a quick trip! Now, I have some places to visit! 🙂 thank you! I know (head hanging in shame) – sometimes I’m not the most adventurous when it comes to food. 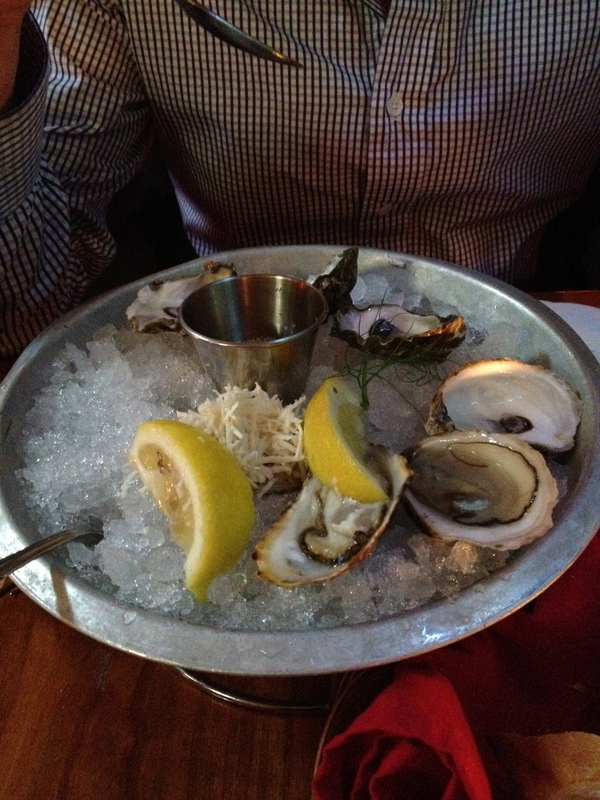 I should force myself to try a raw oyster one of these days! Hey! Random question- since you live in Vancouver, I thought you’d know the answer to this. When traveling into Canada (via car, not plane), do the kids really need passports or will birth certificates work? I’ve heard both. . that if I fly, I need passports but driving, birth certificates will work and some people have told me that I need passports either way. Do you know?